Heaven is a place on earth, and that place is Haro, La Rioja. Last weekend we ventured to the heart of Spanish wine country in search of the perfect glass of fruity, smooth and subtle Rioja wine. 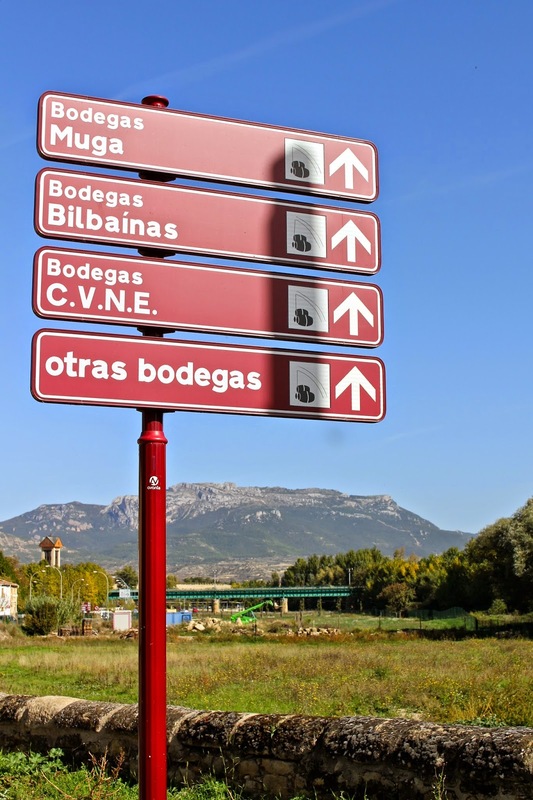 Thankfully, after wine tasting in Haro - the wine capital of Rioja - we found just that. Recently, Spain has surpassed both France and Italy by becoming the world's largest wine producer. Of the many varietals that are cultivated and produced in Spain, Rioja wines are some of the most celebrated. 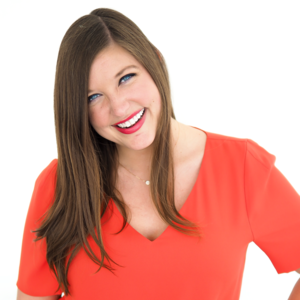 But what's so special about Haro? Just a 30 minute bus ride from Logroño, Haro is more than just your average Spanish pueblo. Not only does this charming village boast enchanting plazas and picturesque cobblestone streets, but it's also brimming with bodegas, or wineries. In the 1870s, phylloxera aphids were attacking and destroying vineyards in Bordeaux, France. To save their wineries, French wine makers took their healthy vines to La Rioja, where the vines were then replanted along the railways in Haro. Once the French departed, the vines were left in the hands of the Spaniards. While many of the Spanish workers left, several decided to stay in Haro - including Rafael Lopez de Heredia, the founder of Viña Tondonia. 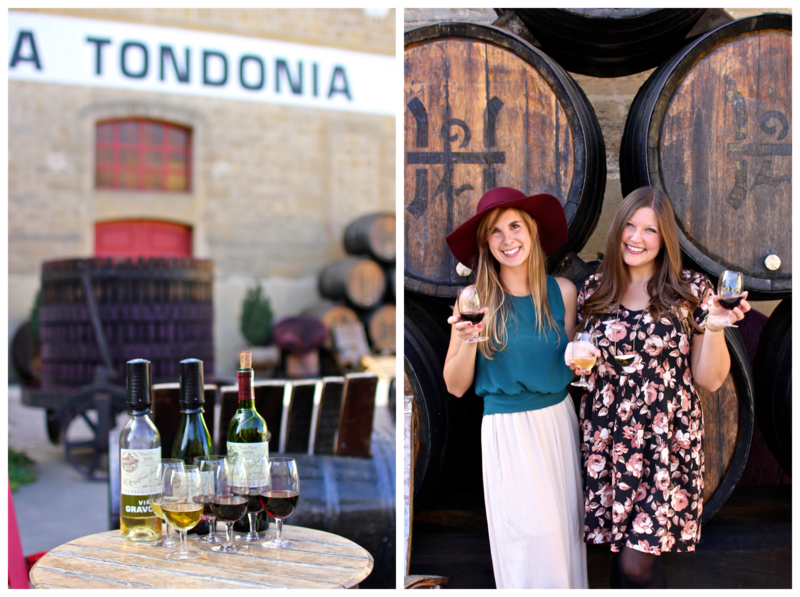 Not only is Tondonia the oldest winery in Haro, but it's also the third oldest bodega in the region of La Rioja. 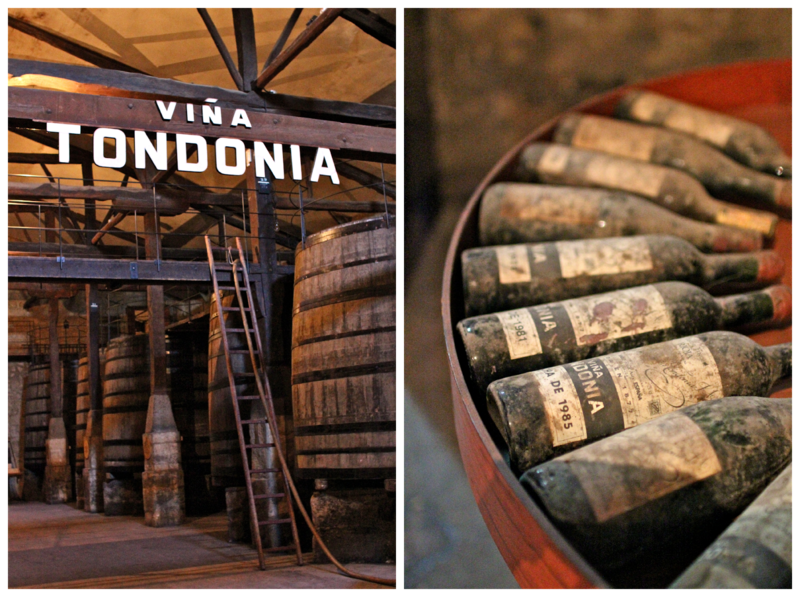 Since 1877, family owned and operated Viña Tondonia has been producing quality wines using traditional methods. 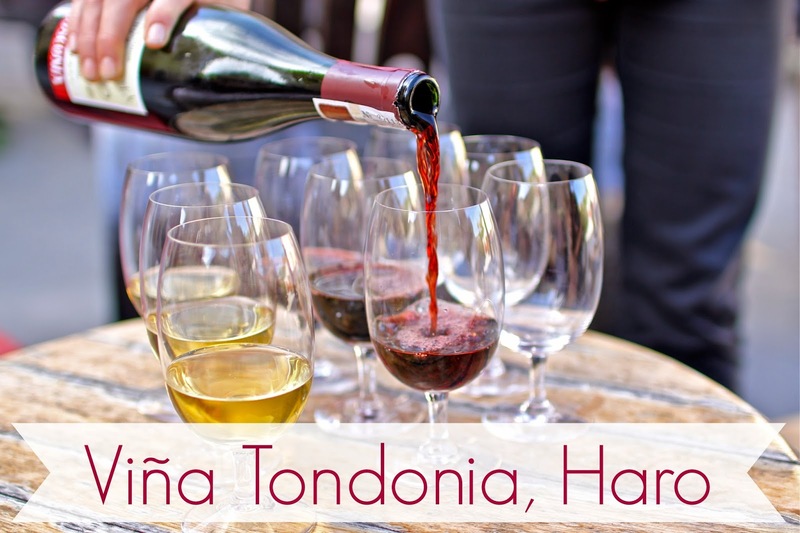 Among the myriad of wineries in Haro, Tondonia is the only one still using most of their original processing methods. In lieu of modern filtration systems and clarification processes, you can find Viña Tondonia utilizing bouquets of sticks, egg whites, and other archaic techniques. 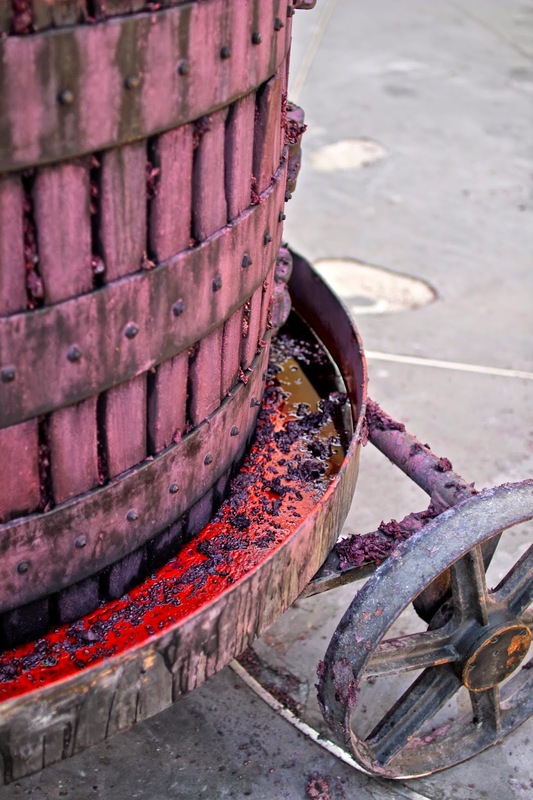 Time consuming as it may be, Tondonia's antiquated strategies ensure that each harvest results in high quality wine. The tour of Tondonia's winery was absolutely enthralling, and seeing firsthand how their archaic methods are implemented was nothing less than fascinating. Our tour included a tasting of three of their perfectly aged wines: their 2005 white Viña Gravonia (which tasted surprisingly like a red), their 2003 Viña Bosconia, and my personal favorite - their 2002 Viña Tondonia Reserva. As if wine tasting in Haro weren't magical enough, we also spent part of our afternoon exploring the darling town. We wandered aimlessly through the plazas, we each enjoyed a café con leche while we basked in the sun, and we got lost within the colorful, winding streets. And what would a decadent day of wine tasting be without delicious food to accompany it? We prefaced our tasting at Tondonia with a savory lunch at Los Caños, a traditional pincho bar tucked away in a hidden plaza within the center of Haro. I admired the glutinous pinchos from afar while I devoured my huevos rotos con jamón. We enjoyed our meal alongside several well-rounded and velvety glasses of Martínez Lacuesta Campeador 2005 Reserva. Take an Autobuses Jimenez bus from the Logroño bus station. Timetables can be found here. Bus tickets cost 3.70€ each way. Viña Tondonia is a 20 minute walk from the bus station. What's your favorite Spanish wine? Where is the best place you've been wine tasting? 21 comments on "Wine Tasting in Haro, La Rioja"
I'm so jealous of this post! I had booked a trip to La Rioja earlier in the year but a bus strike conspired against me. Oh, gotta love Spain and their many, many strikes... I really do hope you get to go soon though! I think you'd really love it. 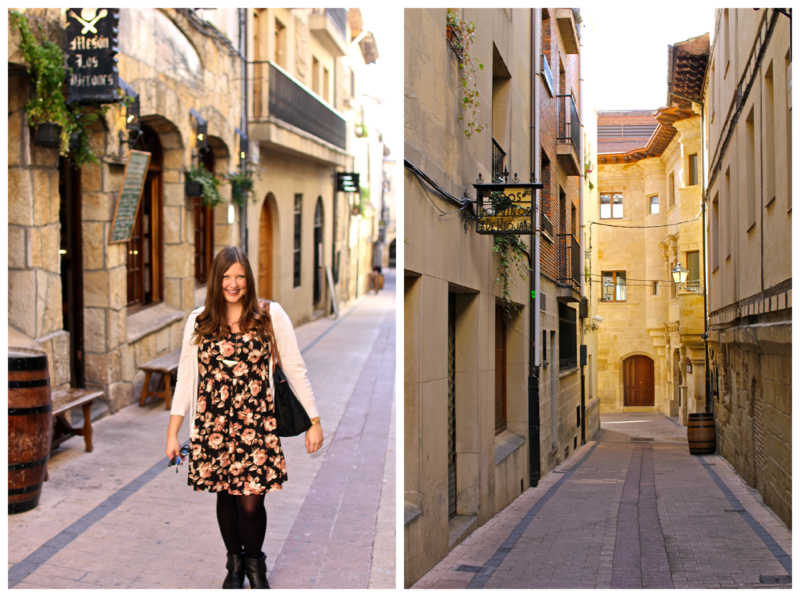 Not only is Rioja the epitome of wine + foodie heaven, but also all of the the small towns are incredibly charming, picture-perfect and castizo! It was a feast for all of the senses!! So beautiful! Oh Spain you tempt me! Oh yes please, can you go back and send me one of everything? My trip to La Rioja in 2012 has been one of my favorite to date! By the time we got to Haro, we didn't want any more wine (and I was driving anyway), but remember the town being gorgeous. We loved La Guardia, too. What an adorable little town! I love all the colours on the building. It looks like you had a yummy lunch too. I'm hungry! I didn't know Spain had become the world's largest wine producer. Beautiful photos of a charming town and a lovely day of wine tasting. Your food photos just made me hungry! ;-) The best place I've had wine tasting is Napa Valley. There were just so many choices and the area is gorgeous. Thanks Adelina! As if the wine weren't enough, the pretty colors and amazing food definitely made Haro all the more magical! We didn't explore Haro much when we were there and it looks positively adorable. Guess that means I'll have to go back! This post is gorgeous! Gracias chica! I honestly would have never made it to Haro if I hadn't read your post about Rioja. Once again, thank you for all of your fabulous recommendations! Every one of your posts makes me want to move to Spain! Good food and good wine - yes please! And also I just love the vibrant colours and the sun that's always in your photos! Ooh, looks lovely! I wanted to make it out to Haro's wine battle, but it didn't fit into my schedule, and I only had one day to spend in Logroño (after stops in Zaragoza, Huesca, and Pamplona in the same weekend), so I didn't make it to Haro. Add that to the bucket list for whenever I return to Spain! You always have to leave something to come back to, right? :) How was Huesca by the way? When we were in Logroño we tried a "tomata" aka an insanely delicious, life changing tomato from Huesca. I'm curious about what else is there! It was pleasant, though not thrilling. The overcast weather also didn't help. It seems like the region has some beautiful sights beyond Huesca capital, so it would be worth exploring beyond!